Home / Articles / Relationships / Marriage / My Husband Never Defends Me or Takes Up For Me. Why? Image license: CC0 via Josh Willink. Why Doesn’t My Husband Defend Me? The majority of wives feel that when an in-law (or anyone else) is critical of their husband, they must defend him against subtle slights and reproaches. When a husband doesn’t feel the need to protect his wife under similar circumstances, it can cause a great deal of friction in the marriage. For wives, this is often an issue of respect. When their man doesn’t feel compelled to defend his lady’s honor in the presence of what she feels is an unfair personal attack, it can feel as though he is confirming what the insulter is insinuating. There can be many ways that a husband handles a perceived insult toward his wife that doesn’t (necessarily) rise to the level of tacit approval. For instance, a husband can deftly and quickly change the subject. He may not be approving, confirming, or legitimizing the insult. In fact, he may feel as though it’s not deserving of response or acknowledgment. Mothers-in-law can be critical and often are, not merely of you, but of their children, friends, and others as well. A husband who is used to this behavior may not want to pick a fight each time that it rears its ugly head. Likely, it would neither be worth the effort nor the frustration of turning an otherwise friendly gathering ugly. In that instance, just changing the subject may be the best way that the husband knows for handling a situation like this. Nonetheless, a wife who is used to going to battle for her husband may see that inaction as not being proactive enough. Even a polite response would be better than none. A husband who has dealt with this negativity his entire life, however, may just feel it best to tune it out. On top of that, there may be a dozen other ways to manage the situation that do not involve confrontation or even subtle rebuke for the criticism but do not rise to the level of tacit agreement. In this instance, the husband is merely moving the subject away from something that can turn into a confrontation. There are other instances, however, when a husband’s inaction may rise to the level of an unspoken agreement with the criticizer, and this can herald underlying problems with the husband’s attitude toward his wife and the marriage at large. When wives have reached the point of asking the question “why doesn’t my husband ever stick up for me?” it’s because at some point their feelings have been deeply hurt by an interaction with another person, and their husband did little or nothing to come to their defense in that situation. In fact, they may have taken the side of the offending party. 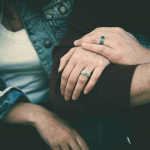 This action can be especially painful for a wife that feels disrespected because she should be able to trust her husband to at least empathize with her perspective on an issue when it’s coming into conflict with another person’s. A husband who, in a situation of conflict, sides against his wife may be hiding deep-seated resentment toward her. When a wife brings an issue such as this to her husband’s attention, and he responds by defending the actions of the insulting party, the wife has every right to be angry. Most marriages are built on a belief that those in your family must be defended at all costs. Even in instances where a wife has behaved poorly, a husband who does not diplomatically resolve an issue by explaining the wife’s behavior away as the result of her being tired or cranky is putting his marriage in jeopardy. In other words, even when a wife is in the wrong, a husband should make some effort to improve the situation to friends and loved ones. Privately, he can explain to her why her behavior caused conflict with others and why that action was upsetting. The situations related above describe instances in which a wife feels (justifiably or not) disrespected by her husband who did not defend her in a specific circumstance. What happens when a husband’s behavior becomes a pattern of pushing his wife’s point of view aside for those that are critical of her? A case like the above is unique because it reflects a husband’s attitude toward his wife and not a husband’s response toward an overly critical mother or an isolated incident. It’s also important to not confuse a situation like this with a healthy argument or philosophical disagreement. A wife who is made to feel small in front of friends and family has a husband that is not respecting her. A respectful debate does the opposite of that. Even when two parties disagree, both of their opinions are given weight and considered carefully. It’s important to draw a distinction here because mere disagreement does not rise to the same level as belittling another person, especially one that deserves to be loved and respected. When an in-law makes a comment that is disparaging to a wife and her husband tacitly or overtly agrees, he is taking part in the belittling. It’s important to recognize the difference and to recognize this behavior as belittling because it helps to draw a firm line between certain kinds of normal friction and other toxic forms of behavior in which one person seeks to undermine the confidence of another. It’s easy enough to say “trust your instincts,” but your instincts can get outmaneuvered by a carefully crafted rationale. The real question is: how did the situation make you feel? If the answer is you felt upset, then you need to discuss the situation with your husband. A husband that responds defensively or takes the side of an individual that was belittling you may have some serious problems with your marriage. There are many reasons that a husband may act this way, but if you don’t feel like your husband has your back, it’s important to recognize that you deserve to feel like he does. Even if it appears your husband never takes your side during outside disagreements, you deserve the respect of him listening to your points and weighing the merits of them. An outright dismissal of your concerns is cause for alarm. There are situations in which you may be in the wrong. Your husband will make his perspective on the topic known to you, but he should do so where the two of you can discuss the issue privately and not in front of those who are disrespecting you. A husband who is insecure may back someone who is belittling you because it knocks you down a peg and puts you where the husband feels you are on even footing. A weak husband can undermine his wife in a dozen different ways and this disparagement is often one of the most prominent. You may love him, but you still deserve better. 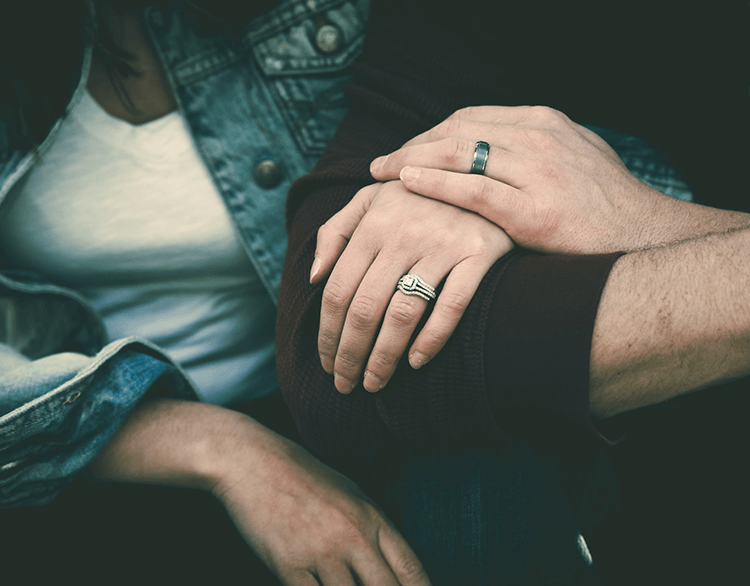 While every husband may behave this way at one time or another, it’s essential for a wife to recognize that loyalty and support are the cornerstones of any marriage. In other words, a wife deserves to be defended by her husband when she feels that a family member or someone else is being critical of her. If there is a situation in which a wife behaves poorly, there are plenty of other ways to handle that other than publicly humiliating her. A husband may behave in this manner for any number of reasons, but none of them rise to the level of a reasonable justification. In other words, a wife must bring the matter to his attention and attempt to determine why her husband doesn’t seem to have her back. Marriages and families are something that you’re all supposed to be in together. A husband who can’t manage to recognize that an attack on his wife is an attack on him is missing the heart of what family is all about. This content is licensed under CC BY 4.0. If you use this content please attribute Emily Peoples via https://alterables.com/author/epeoples/ as a contributor of your adapted content. - How Do I Start Dating Again After a Divorce? - What are the Six Stages of a Midlife Crisis?